These handsome knives combine the charm of classic styling with quality manufacturing. 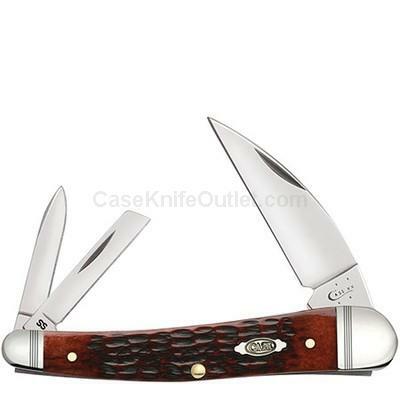 Eight patterns bearing Rogers Jigged Walnut Bone handles, nickel silver bolsters with 'pinstripe' style strikelines, and a Case Traditions Shield are smartly matched with razor sharp stainless steel blades. As with all natural material color and texture may vary. Made in the USA.